This custom chameleon tumbler changes colors fast – 24HR! 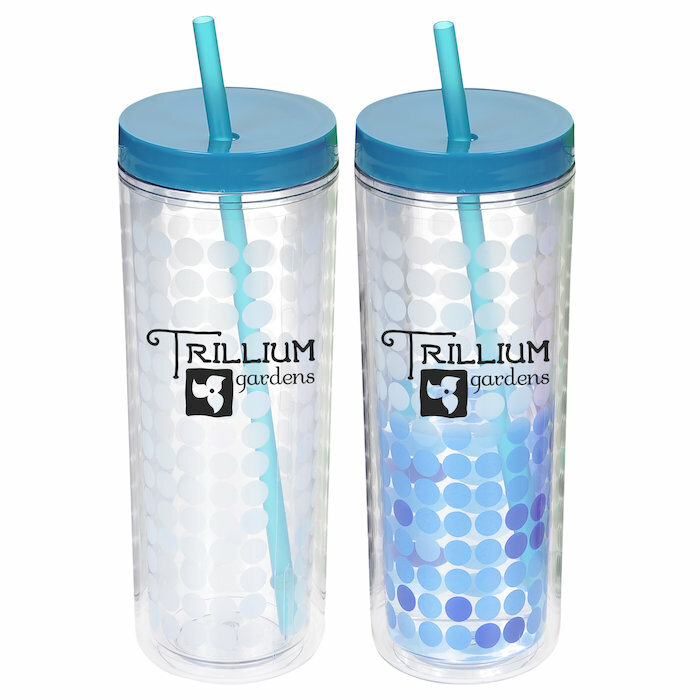 This chameleon-like tumbler has graphics that change color when cold water is added. 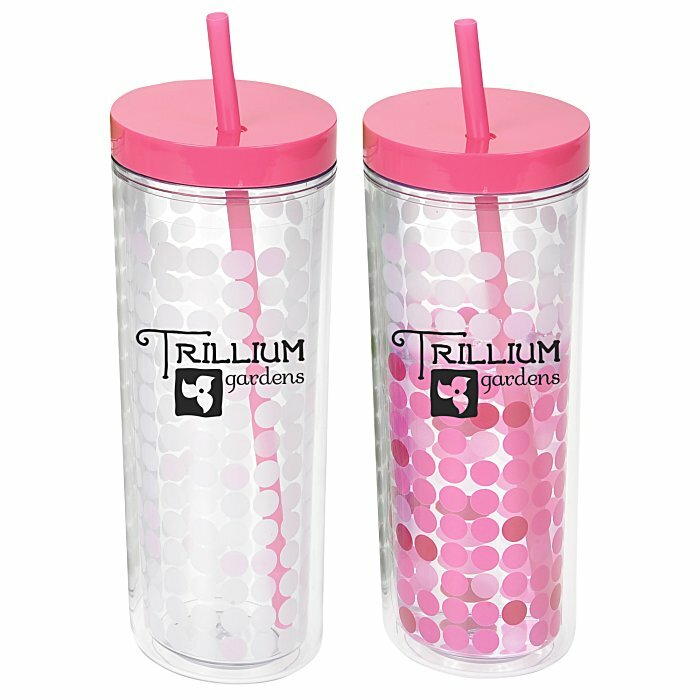 Always know when your beverage is getting lukewarm so you can add ice cubes to make it refreshingly cold and enjoyable. Solid dual-wall acrylic layers offer extra insulation and help prevent condensation from your ice cold refreshments. 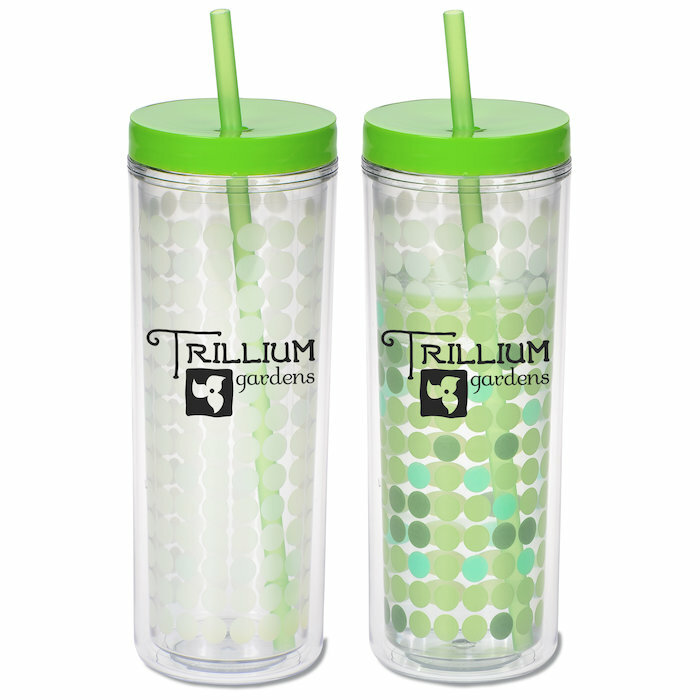 This reusable tumbler is complete with a color-coordinating lid and straw. This BPA-free bottle is made of #7 plastic, which can be recycled in only a few limited areas; check locally for more information. 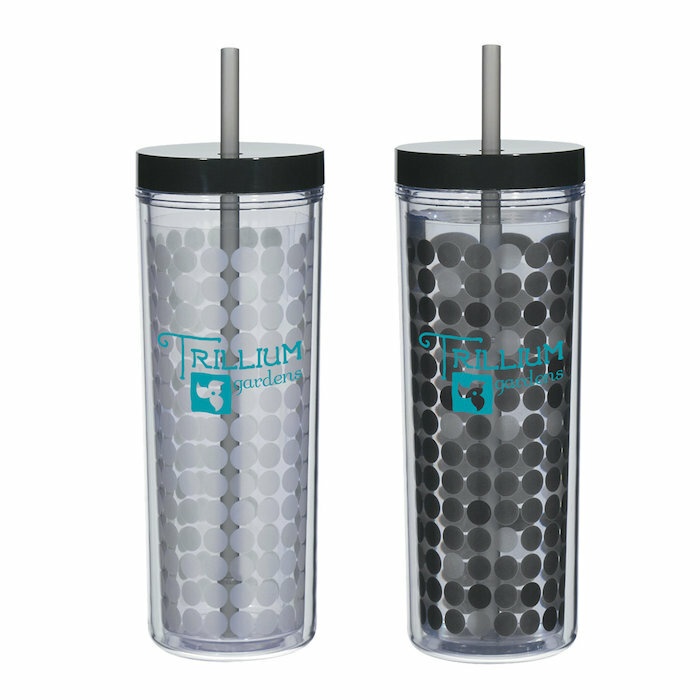 Your price includes a one color imprint on the front and back of the tumbler. * Excludes art preparation time, applies only to orders of 288 items or fewer.